Welding is a core proficiency of Choctaw Defense’ capabilities; we create and qualify weld procedures, in-house, as required to conform to customer contract requirements and to military or commercial specifications. Our welding staff includes both American Welding Society (AWS) Certified Welding Inspectors (CWIs) and Certified Welding Educators (CWEs). In addition, our welding personnel are certified in a variety of materials and welding processes and use fully qualified welding procedures. Our staff of Certified Welding Educators (CWEs) train and test all of our welding staff to weld procedures developed to accommodate contractual stipulations. We send test plates to an independent (Third-Party) firm for examination. 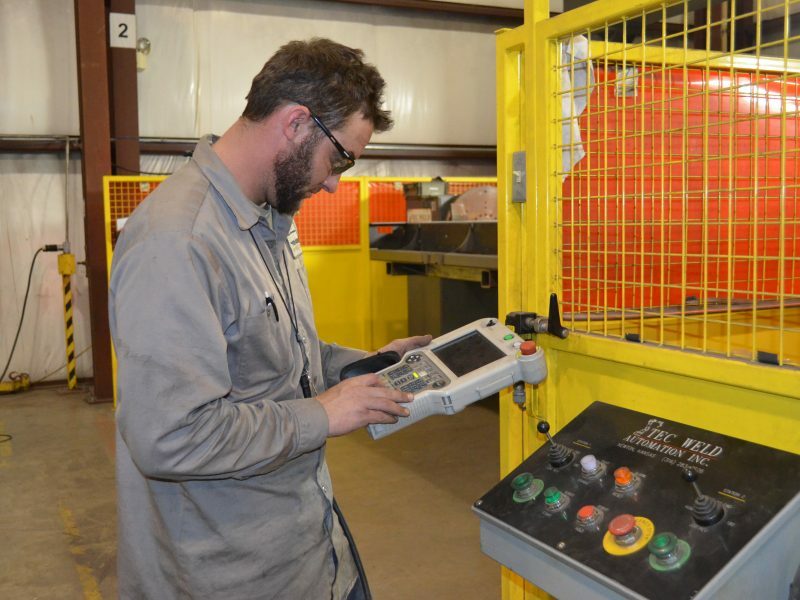 We maintain and track each welder’s testing and certification status. AWS accommodates separate requirements for welding under different circumstances. Choctaw Defense welders pass specific AWS requirements prior to any work to be performed. Quality Assurance staff examine weldments throughout the manufacturing process at designated points to verify conformance of the effort through that particular production point.